(CBS News) The negative health effects from obesity may extend to the brain, new research suggests. A study in the August 21 issue of Neurology shows that middle-aged adults who are obese or possess other "metabolic abnormalities" were more likely to have declines in memory and cognitive skills over the next decade than their fitter counterparts. For the study, researchers enlisted 6,400 people who were an average age of 50, gathering information on their body mass index (BMI) and metabolic risk factors. Metabolic abnormalities were defined as having two or more risk factors, which include having high blood pressure (or taking medication for it), high triglycerides, high blood sugar (or taking diabetes medication), low HDL (good) cholesterol, or taking cholesterol-lowering medications. Participants were tracked over a 10-year-period and given three memory and cognitive tests over that time. The researchers identified 31 percent of participants as having two or more metabolic abnormalities, 38 percent as being overweight and 9 percent as being obese. 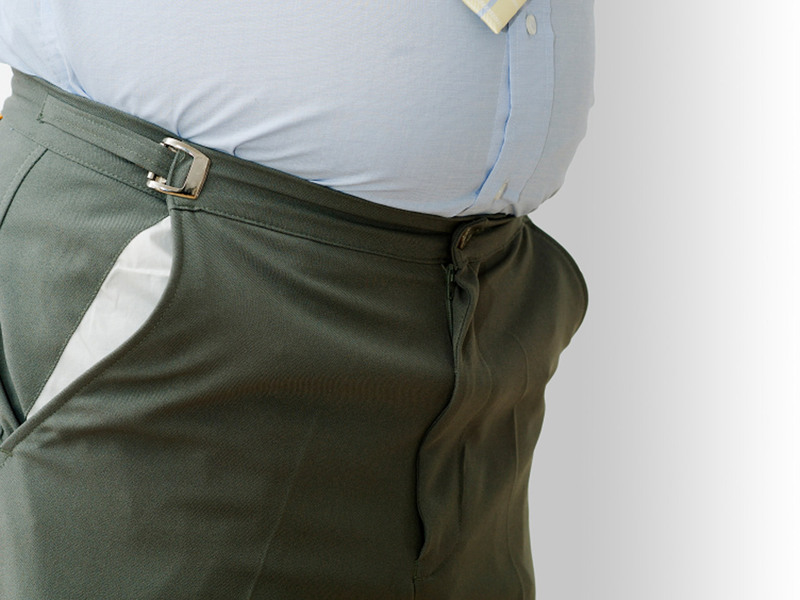 Of the 582 obese people, 350, or 60 percent, met the criteria for metabolic abnormality. Those patients in particular experienced a 22.5 percent faster decline in cognitive test scores than participants who were normal weight and had no metabolic abnormalities. The metabolically normal obese individuals also experienced more rapid decline. "All of these [obese] individuals, whether they were metabolically healthy or not healthy, had a poor cognitive profile," study author Dr. Archana Singh-Manoux, research director at Inserm, the French research institute in Paris, told The Wall Street Journal. Previous research has also tied obesity to cognitive problems in aging adults, including a March study in Age and Aging that found adults between 60 and 70 with the highest BMIs also had the lowest cognitive function. Cognitive decline - beyond what's considered normally caused by aging - may be indicative of mild cognitive impairment (MCI) or a suggestive of an increased risk for dementia and Alzheimer's. "We all know that piling on the pounds is bad for your physical health, but this robust study suggests that it is bad for the head as well as the heart," the U.K. Alzheimer's Society said in a statement. "The best way of reducing your risk of developing dementia is to eat a balanced diet, maintain a healthy weight, exercise regularly and get your blood pressure and cholesterol checked." Dr. Richard Lipton, professor and vice chairman of neurology at Albert Einstein College of Medicine in New York City, agreed, telling HealthDay, "Maintaining normal body weight while preventing or treating abnormalities in blood pressure, glucose regulation and lipids may provide a therapeutic twofer, protecting the heart and brain," he said.